Malkit Shoshan is the founder and director of the architectural think tank FAST: Foundation for Achieving Seamless Territory. FAST uses research, advocacy, and design to investigate the relationship between architecture, urban planning, and human rights in conflict and post-conflict areas. Its cross-disciplinary and multi-scalar work explores the mechanisms behind, and the impact of, displacement, spatial violence, and systemic segregation on people's living environments. FASTs projects promote spatial justice, equality and solidarity. Shoshan is the author and the map maker of the award-winning book Atlas of Conflict: Israel-Palestine (Uitgeverij 010, 2010). The book details the emergence of Israel and disappearance of Palestine over the past century. It visualizes issues of settlement distribution and typology, land ownership, landscaping, water and access to resources in a state of conflict. Shoshan is also the co-author of the book Village. One Land Two Systems and Platform Paradise (Damiani Editore, 2014). Village consists of multiple narratives that recount the story of an internally displaced community in Israel and shows how Shoshan designed a collaborative engagement process to produce an alternative masterplan for the village. This masterplan served as a tool to negotiate the community's right to spatial equality and state services with the local authorities. Additional publications include Zoo, or the letter Z, just after zionism (NAiM, 2012), the UNMANNED: Architecture and Security Series (DPR-Barcelona, 2016) and the issue Spaces of Conflict for Footprint, TU Delft Architecture Theory Journal (JAP SAM Books, 2017). In 2016, Shoshan was the curator of the Dutch Pavilion for The Venice Architecture Biennale with the exhibition BLUE: Architecture of UN Peacekeeping Missions, which examines the spatiality and legacy of UN Peace Operations in conflict-affected urban environments. The exhibition is now part of the National Architecture Collection of The Netherlands and will be the subject of her forthcoming book BLUE: Peacekeeping Architecture (Actar, 2018). Shoshan studied architecture at the Technion – Israel Institute of Technology, and the IUAV – the University of Venice. She is currently an international scholar at the Institute for Public Knowledge at NYU and a Ph.D. fellow at the Delft University of Technology. She is on the editorial board of Footprint, the TU Delft Architecture Theory Journal. In 2014, as a research fellow at Het Nieuwe Instituut, Shoshan developed the project Drones and Honeycombs on global processes of militarization of the civic space. The fellowship included the exhibition 2014-1914 The View From Above and a series of seminars and workshops with multiple experts, stakeholders, governmental agencies and NGOs. In 2015, she was a visiting critic at Syracuse University’s School of Architecture and in 2016, she taught a course Architecture of Peace at the Harvard Graduate School of Design. Shoshan was a finalist for the Harvard GSD’s Wheelwright Prize in 2014. 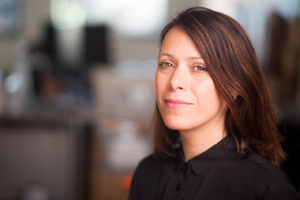 Her research and design work has been published in newspapers and journals including the New York Times, The Guardian, NRC, Haaretz, Volume, Surface, Frame, Metropolis, and exhibited in venues including the UN Headquarters in NYC (2016), Venice Architecture Biennale (2002, 2008, 2016), Experimenta (2011), Het Nieuwe Instituut (2014), The Istanbul Design Biennale (2014), The Israel Digital Art Center (2012), and The Netherlands Architecture Institute (2007).